"We shall go on to the end. We shall fight on Mars, we shall fight on the ice lakes, we shall fight with growing confidence and growing strength in the air, we shall defend our Uranium, whatever the cost may be. We shall fight on the beaches, we shall fight on the landing grounds, we shall fight in the fields and in space, we shall fight in the hills; we shall never surrender"
I told you that my fight to preserve Uranium isn't over Keen. You may have struck me down the first time, but you've only made me stronger. Especially after playing the Playtest, my resolve to preserve Uranium has only been strengthened. I ask that people who supported this fight the first time join me and support continuing the fight to support Uranium. There are also some good suggestions in the comments below. "Uranium is the best power source, Planets have no actually practical energy source, and serves to just provide annoyances with no real reason to be on the planet." And there you go, that sums up the removal of Uranium quite well. However that's not the end of this ticket, I have a few more things to add now that I have played the Survival update for myself. Once again I will offer my compromise at the End/Conclusion. I would like to talk with the person who added the Hydrogen engine into the game, because for the one thing I was most excited about for the Survival update it is an utter and complete disappointment. I can't even wrap my mind around it. I tested the Hydrogen engine out on a few and not to my surprise, the Hydrogen engine fails to power every single current build I have. I could not even power a rather large small grid hover tank, now before you say that the Hydrogen Engine is not made for powering a Hover Craft, no it could not even power most of the rovers I have. With that in mind I know for a fact that it could not even power any of my atmospheric miners or welders. The Hydrogen Engine by far might be more inferior that Solar and batteries. I could not even power a single hover craft with 2-4 Hydrogen Engines filled to the max with Ice. This is not even the worst part of the Hydrogen Engine, the Hydrogen Engine requires TWO BLOCKS just to function, which means you need to have space for the O2 Generator and the Hydrogen Engine. That's not even the best part! You need another power source just to be able to operate the Hydrogen Engine. That means the Hydrogen Engine is useless without already having batteries already powering your ship, hovercraft, or rover. And the O2 Generator needs 100 Kw just to operate so one small battery is not enough to jumpstart the O2 Generator to start fueling the Hydro Engine. I'd love to speak to the Genius who though this was a smart idea to have a power source need ANOTHER power source just to operate. You wanna know how I even managed to jump start the O2 Generator? It wasn't with 20 batteries. Oh No. It was one SMALL NUCLEAR REACTOR. A Hydrogen Engine serves no purpose other than a backup power source or a rover so basic that its only purpose is to drive around and have no other function. Not even after I powered off a majority of the things on my hovercraft could I power the hovercraft with 1 let alone 2 Hydro Engines. And as I stated If it can't even power that how is it going to power a Atmospheric Miner that consumes a ton of power thanks to its atmospheric thrusters. I'm not sure if you remember Keen, but your mission statement for Space Engineers is hat Space Engineers is to play our own story. Well Keen I cant play my story because my story has uranium on planets and almost everything being powered by Nuclear Energy. This resorts back to my original point in my original post. Keen should not be forcing players to play their way, Space Engineers is suppose to be our story and we play how we want. If people want to play without Uranium that's fine, but you should not be forcing people who want to play WITH URANIUM, to play without it just because others want to play without it. So Keen perhaps you should honor your Mission statement of letting players play their own story and own way. A. Remove Uranium from Space entirely and keep them on planets (Giving planets some actual value) and make Uranium spawns even more rare on planets, but not too rare that players can't find anything. B. OR alternatively give players the option to toggle whether or not they want uranium to generate when players start up a new world/solar system/scenario while those who do want it to generate on worlds, still make it where its rare to find. That way you make both parties happy. C. My new suggestion since I have heard B would not be easy, is that Keen simply not remove Uranium at all and make it more rare on planets and asteroids thus making it less abundant. Decrease Uranium's Generation on planets or the amount that there is. You could also just make it deeper underground. D. Suggestion D is the same as Suggestion C except Keen could make Uranium nerfed where Uranium yields less in Refineries or that you mine less of it. Something of this nature would be preferable than just saying "Lets just delete Uranium all together instead of trying to fix it." I won't give up this Fight Keen. I shall continue to fight to protect Uranium and keep it on Earth and planets all together. Their use is a niche case. At the moment, other power sources are simply superior, less maintenance, and do not require a second power source to work in the first place. Also a visor effect/overlay base on the temperature would be nice. I've talked exactly about this in discrod, great idea. Uranium is quite overpowered, in space and on planets. It really needs a overhaul. - more complex production chain of uranium. Add some more blocks which are required to process uranium ore to be a usable reactor fuel. Maybe some enrichment methods like gas centrifuge. I like the idea of uranium reactor needing cooling. Perhaps just on high outputs. I agree, uranium and nuclear reactor are definitely overpowered in their current state. 1. Once you find a uranium depot/vein you are golden and energy isnt a challenge for a very long time. -> There should be a risk/reward situation when you are going after uranium, like AI is also pursuing uranium which will let to encounters with AI when you try to get uranium. 2. Like you said it is far to simple to build a uranium powered craft. For uranium we have a 1x1x1 nuclear reactor. For hydrogen you need the engine, a power source and generators or tanks (which are ridiculusly huge). Sure, hydrogen can stay the more challenging power source, but nuclear power should not be as simple as it currently is. Like with hydrogen there should be more stuff required around it to work. 3. Uranium is easy to process and is just stored in a regular cargo container, which can be very small. Like you suggested Keen could consider to make processing uranium more complex, maybe even the storage of uranium too. Pretty sure this idea is "too complex" and Keen will use it in "future projects". PS: I will fight for uranium on planets too! I suggested a small compromise of moving some uranium to inferno sections of planets. So we can have a reason to experience inferno temperature and deep underground mining. I don't think the game should be easier (but in fact, should be harder in a smarter way), and I don't think our past builds and the way we designed in the past should have any serious weight (or any at all) in game balance decisions. But the current balance of the game is still off. In a different way than before, but still off. Suggestions like having uranium veins in the deep planets core, and uranium veins being small have very low yield, and requiring more complex and demanding refining and manufacturing, and having it increase in a smart way the PVE challenges, are taken as a whole a very good path for better balance and better emergent gameplay. And Keen should definitely support better emergent gameplay, that's cheap gameplay for them. But the devil is in the details of the implementation. With the new Survival system we'll be able to extract trace amounts of ore from Stone. Can anyone confirm whether that includes (or excludes) uranium? I see where Keen are coming from here, removing large uranium deposits from planets. I've no problem with that. It definitely needs a nerf, as it relegates all other energy sources to obsolescence. Immediately. But hey, if it's so that uranium cannot be obtained from stone (with a Survival kit) like other elements - which seems a bit overpowered to me - give us a special new Production Block, for the purpose of extracting solely uranium from stone (which kind of reflects how it's mined in the real world). I'm talking only a small amount, say 100k Stone = enough raw ore for a refinery to spit out 50 uranium ingots. Not a lot, but enough to power your first space-worthy ship. It would also serve as a decent compromise to me. It would give us access to nuclear power on a planet, but not remove the incentive to get to space where rich deposits can be found. No, uranium not included. Cobalt, silver, gold and some others also not included. You get Gravel, Iron, Silicon and seems like one other, but I don't remember. Iron, Silicon, Nickel. You get gravel by refining stone in large refinery later. Also, removing uranium from planets even further destroys any reson to go to them. There is nothing beneficial on planets now and since you can start in space, why would you ever have to bother. Overcoming the gravity obstacle and using atmosphere is cool and all, but there is no survival reward for it. You sure about that? I thought sure I got gravel also from the kit. Something I didn't check is if you can get the metals from stone with the larger refineries or if that is a reason to keep the kit, besides the fact that it is smaller then the med bay. all 3; survival kit, basic refinery and "normal" refinery, gave gravel, iron, Nickel and Silicon. There is no point in refining stone in the survival kit once you get the basic refinery and normal refinery as they give better output ratio. Someone even noted that nickel was faster to get from stone than from nickel ore itself; refining speed of nickel ore is too slow. Thanks for confirmation. That's got to be bug re Nickel, and something that needs to be addressed. The removal of pure uranium deposits on planets is ok with me, but I still think the idea of a 'uranium processor' block of sorts could solve this problem and appease both camps. It would give a planet-side player a route to extract - with some brute force refining, going through a lot of stone - at least trace quantities of uranium, enough to put a ship in orbit. This whole shebang is a farce. There's no real need to remove Uranium, as it occurs naturally both on planets and in asteroids. It's a remnant of a stellar explosion, for crying out loud. I understand it needs balancing, but I put forth an idea for a fusion reactor that should help make nuclear reactors stop being so overpowered, and provide a valid reason for having uranium rarer than normal. Still, if you're removing Uranium from my planets, my planets will fight back with Stone Crusher AVAs and Gravel Resource Extractors to get that stuff. Uranium is simply too good. Once you find some you have unlimited super easy, super compact, super light(mass wise) power for pretty much ever. It's the easiest power to use and most effective power to use making power considerations irrelevant and all other power blocks useless. I am glad it was removed, though I would prefer if it were simply way more difficult to use. No I do not agree with this really. I am all for immersion but i for one do NOT want Uranium on planets. It was simply to powerful and to common to find it. I do however think they need to make combustion engines a lot better than they currently are! Uranium should be rarer than it was, but not non-existent. It should be powerful because nuclear reactors are, well, powerful. That's the point. And in game, that makes for a nice final tier of power technology (at least for a near future setting). To that end, they should probably have a centrifuge block and it should probably be large and it should probably take a number of them to fuel a reactor running at full power. 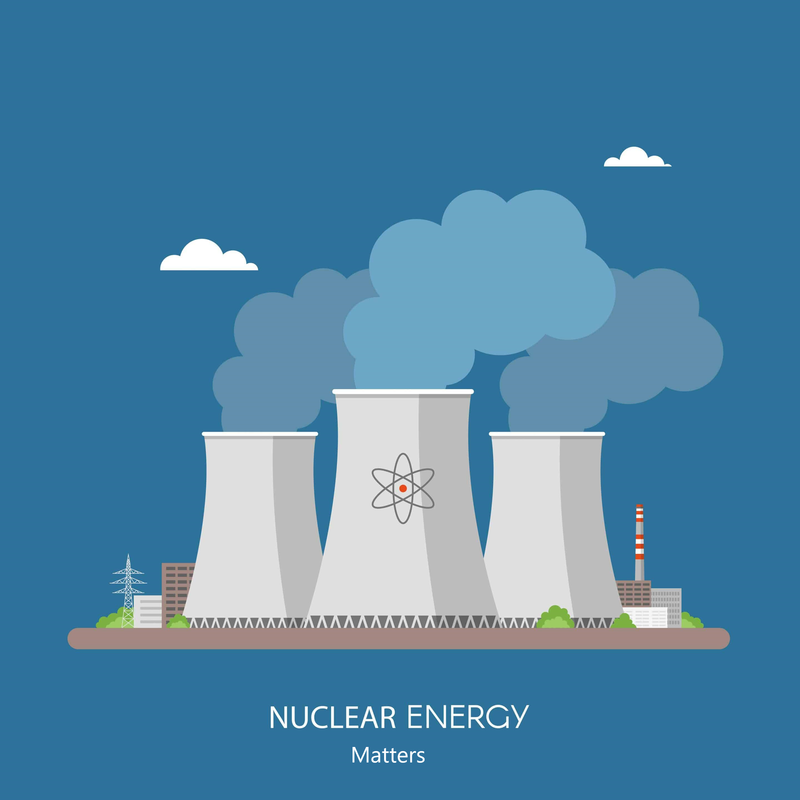 Nuclear power isn't easy, but more complex options (e.g. managing its temperature) aren't going to make the cut (though maybe having the reactor consume both ice and uranium would). IRL nuclear reactors are NOT powerful if you consider their mass/power ratio. You cannot have a extremely dense power source that does not require an equally dense containment device. I propose we make reactors either bigger, or heavier. it would prohibit using them en masse to power a grid designed to navigate a planets influence. If we also introduced a material that is only available in space to the reactor component, we could have uranium everywhere, but not so useful until you get to space. Using a reactor would only be more powerful/ beneficial if it were used to power other grids with lighter energy reserves in the form of batteries or hydrogen tanks. There is no need to bring back uranium on planet. They not deleted it from the game. It's just in different location. Fly 45km and drill... ONE large cargo container filled with ore on SMALL grid with x1 inventory and you can suply entire fleet AND a big base for a long time. Why in space and not deep underground? I believe it's for performance reasons. Deep ore require ore detector with large radius. Go to the workshop and you find some mods with 250 and 500m+ range, but sometimes you see in description "Warning: Dont forget, the more range - the more load on server/game". Also, meteor storms hit performance after some time because game must remember all changes in terrain. Same things with large holes. Why not make it rare and less abundant? If you don't build something VERY huge you don't need more than one ore deposit for every resource except, maybe, iron. It's means after you find one uranium deposit, you don't need to find another i.e. there is no change in survival with uranium at all. For "less abundant" - read above. Too much holes do not go well with performance. 1) Fighter cockpit, gyro, 2x full hydrogen engines, beacon, o2/h2 generator filled with ice (2.7k), 4x 5x5 wheels, connector. Started mass: 12117. End mass: 9730. 2) Fighter cockpit, gyro, 2x full hydrogen engines, beacon, h2 tank (full), 4x 5x5 wheels, connector. Started mass: 12420. End mass: 12420. Of course adding mass and blocks that consuming power will decrease maximum range, but it's all about power management (IRL after parking your car you shutting down engine, lights and other thing that can drain battery and gas at night, did you?). This is why I like to pirate games. I'm close to regretting buying this game. I'm going to go with science here. Yes there is Probably more Uranium in our solar system than on any planet surface (most of it sinks to the cores of planets and doesn't come back easily). The problem with this statement is that it is a question of density, or the richness of the deposits. It's also a problem for reality. Or should at least be a problem for a game claiming to be "inspired by reality." While this is about Uranium, it really applies across the board due to a complete lack of understanding of Basic Chemistry, Geology, Hydrology, and ExoGeology. Uranium like all oxidizing metals can be dissolved in water. It IS called the Universal Solvent for a reason. The Water must get really hot and under high pressure which occurs deep in the Earth (Not in Space). When the Metal Rich water rises to the surface to cooler temperatures, as it cools and looses pressure, it metals fall out at different depths over thousands or millions of years. That metal content permeates the surrounding rock and leves ore rich deposits in the rock. As Eroision and Uplift wear away the rock that was near the surface, the Ore rich rock gets closer and closer to the surface until it is exposed, or until we can dig to it. Uranium, Gold, Silver, Iron, and pretty much every metal in SE is deposited this way In reality. If SE were actually taking cues from reality, the valuable rare metal deposits would be on earthLike, Mars, and perhaps Titan. Space would have Iron, Nickel, and Cobalt Ores, in abundance (They form rich deposits in asteriods but from other mechanisms and due to less rarity). Getting any other elements in Space would ential getting several different 'types" of stone. This would yield trace amounts of other metals but about 10x more than Planet based stones would. Planet Based stones would work the opposite way. Very little of anything would be converted to Ingots because most of it has been leeched out in water and deposited in other places, in higher concentrations, called ore veins. The relative rarity of resources in SE is about the same across the board, when it should be based on element rarity with some caveats. Hydrogen is actually fairly rare as a practical matter as most of it is bound up in stars and Gas Giants; same with Helium. Just about every 'pure" ore should return Oxygen since you are seperating 2 oxygen atoms from every metal atom in a refinery (Oxides). Some of that is going to be lost in the process. It will either just escape with the exhaust or become bound to the left over slag/gravel. Keen will NEVER add Uranium back onto Planets because it is not an issue of logic, or because you want to play with uranium. It's balancing. Unless they change the gameplay mechanics to balance this nuclear back onto planet (which I doubt they will), they won't add it back. Ever. I agree that removing it was radical (could have left quite limited and By the logic of the game, the use of uranium should be a progression. Instead, we need the most efficient hydrogen engine (generate more energy for what it already consumes) and without the troublesome internal tank (which only fills if the engine is turned on). amount).